Chassis Link 2000, a very user friendly software package, is both unique and affordable. Chassis Link 2000 can be used in the shop or at the track with over 30 usable entries. You can simulate and test different set-ups to get the most out of your racer! 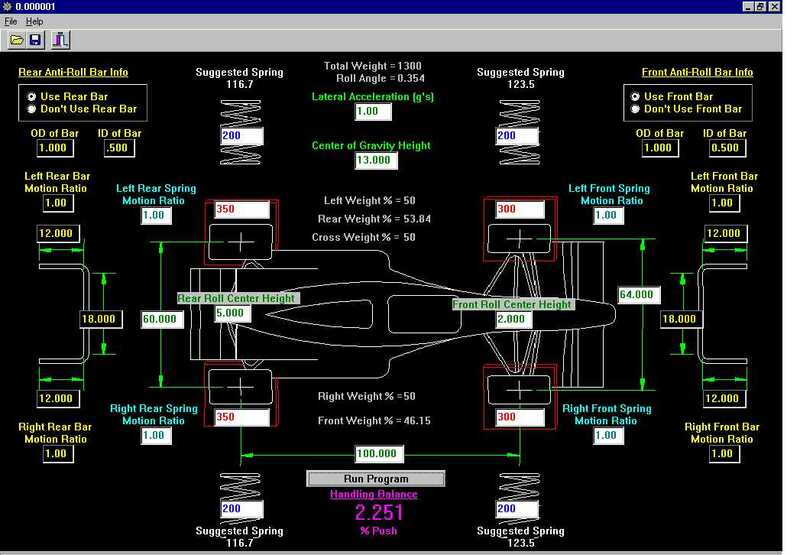 Adjust wheel weights, spring rates, roll bars, roll centers, lateral "G" force, wheel rates, center of gravity, cross weights, and more. From beginner to pro, Chassis Link 2000 is the way to go!